My sister Gracie is starting a new blog soon, and asked if I would illustrate something for her header. 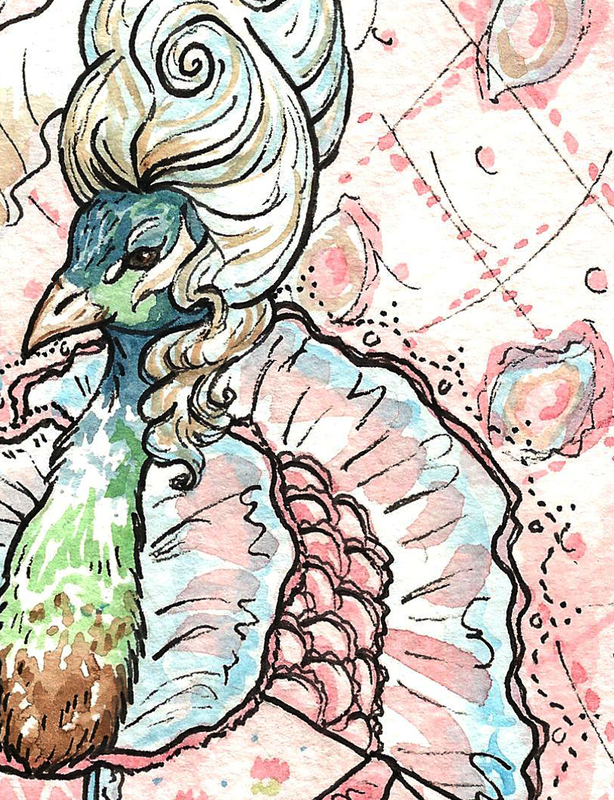 Even though I have been sick the past two days I'm pretty terrible at just lying around, and so I rested on the couch painting this lovely Lady Peacock. 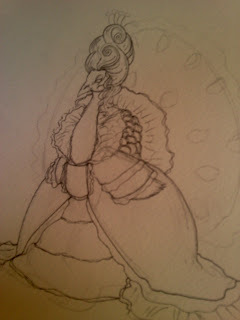 before I painted the illustration. Lady Peacock in all her feathery finery. 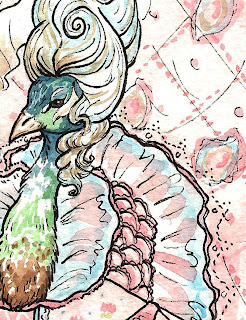 A detail of Lady Peacock's pretty face. 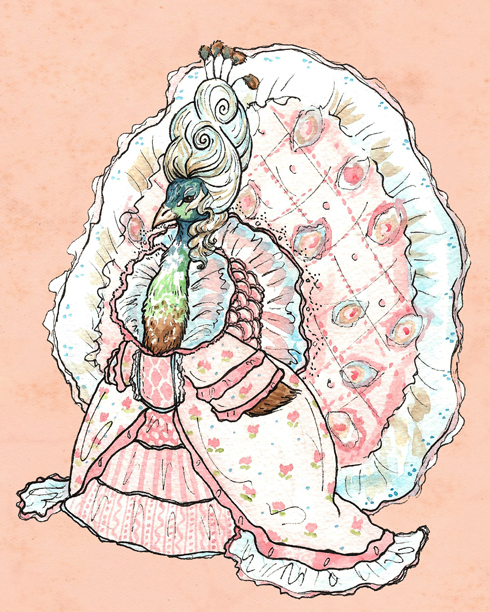 Because female peacocks don't have the impressive tails, this proud little miss had one crafted from satin and lace. 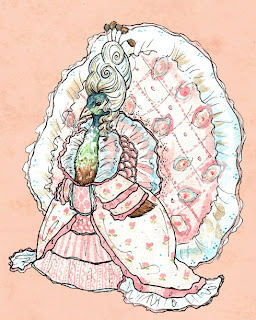 My sister is a great lover of history and so we agreed upon dressing the peacock in french duds from the 1700s. Now if you'll excuse me I'm going to sip tea on the couch and whine about how achy I feel. I am a miserable patient to have, Ryan's a saint.